Place Edensoy, frozen bananas and strawberries in a blender. Pulse until blended. 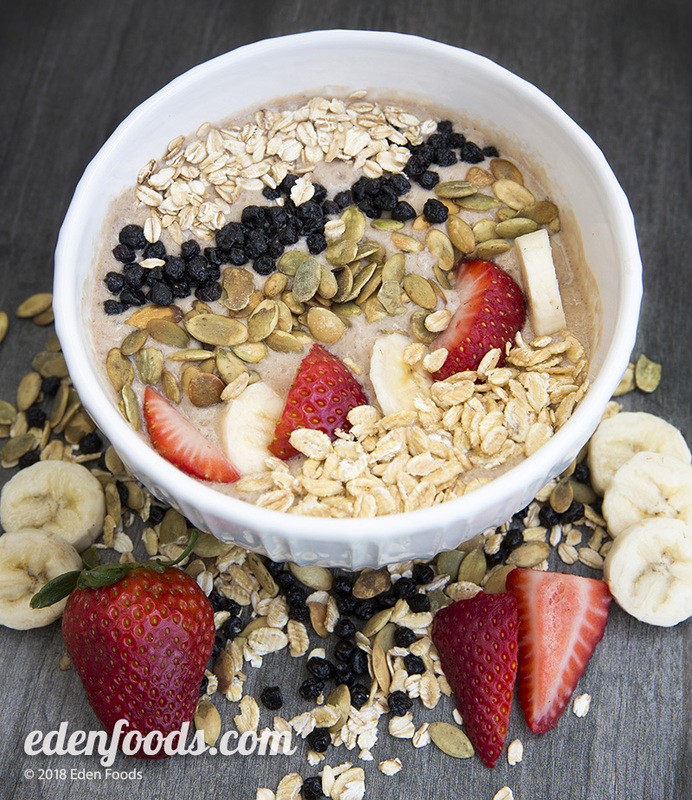 Pour the smoothie into four bowls and top with equal amounts of each remaining ingredient.